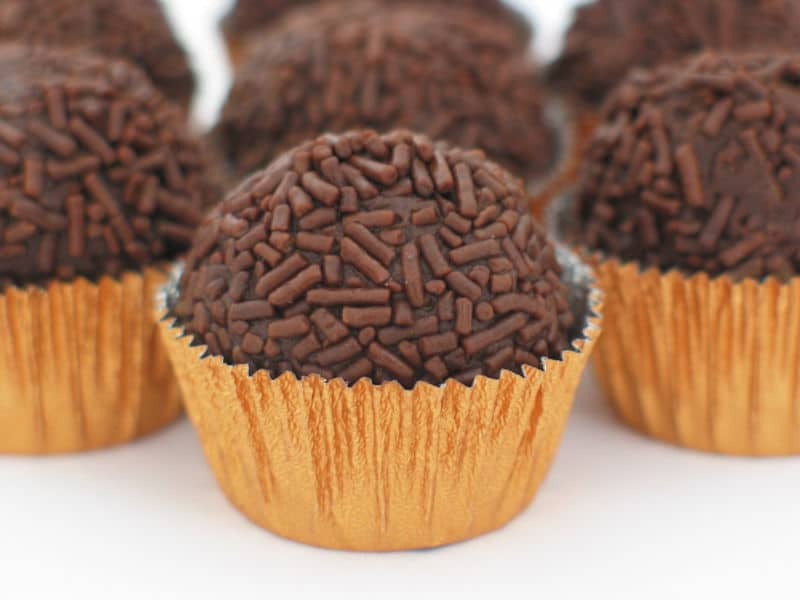 Brigadeiro was created just after World War II and the name evolved from the presidential campaign of the well known 1920’s Brazilian politician ‘Brigadeiro Eduardo Gomes’. An Air Force brigadier general he initially came to limelight for his role in overturning a communist coup in Rio. Women working in his campaign circulated Brigadeiro to get votes. With time, the Brasilian Recipe improved by adding chocolate sprinkles and other decorations. Several new recipes also spun from the original. It is often called the Brasilian truffle in a few countries. This mouth-watering sweet is essentially made with chocolate and condensed milk and is a part of the fabulous group of “docinhos” from Brazil. Children and adults love it alike! The Recipe: Ingredients: Sweetened Condensed Milk- 1 Can Chocolate Drink Powder- 3 tbsp Butter- 2 tbsp For decoration: Chocolate Vermicelli Caster sugar Grated coconut Method of preparation: 1. Add condensed milk into a medium size saucepan over medium flame. 2. Place butter and chocolate drink powder into the pan and keep stirring till it begins to show the base of the pan when scraped with the ladle. This is the crucial part to watch as the mix should be thick enough. 3. Pour the mix into a ceramic or glass container and allow it to cool. Once the mixture reaches room temperature, place it in the refrigerator. It can be stored for even 3 to 4 days if required. 4. When you want to roll it, remove from the fridge to shape the mixture into the size you prefer. Typically this can vary as some prefer small like golf balls. 5. To roll the candy, apply a little butter in your hands and take the dollop of the mixture into your palm and roll to make a smooth ball. 6. Immerse it into a bowl filled with your choice of decoration and topping and cover it totally. 7. Place the attractive Brigadeiro in a cupcake cup and serve. 8. Typically the Brasilian Recipe is created with a different topping for every batch. You can get imaginative and wild. Churrasco is a traditional Brasilian recipe of grilled beef on skewers. It was developed in the Rio Grande do Sul region by the “Gauchos” of Brazil many hundreds of years back. With the introduction of cattle ranching in the region the Gauchos were given the task of herding the cattle which gave birth to the innovative barbecue style. Beef, to be more specific sirloin was the meat traditionally used in this Brasilian recipe barbecue, but with time pork, lamb, poultry as well as other beef cuts also became popular for this unique cooking style. The preparation is very simple but delicious. In Churrasco the meats are smothered in sal grosso or sea salt / ahlo or garlic which is slowly cooked over blazing embers. Different marinades can be added according to you taste. The best part is that that the skewer can placed back in the oven in a different position based on the level of cooking needed. In south Brazil, meat is traditionally cooked about three feet adjoining the charcoal fire with skewers placed on the ground around open fire. It takes around 6 hours to cook and the meat can be left for a longer time with the fire away. Surface layers of the meat are sliced off as it cooks and eaten slowly. This could mean that the barbecue starts at lunch and ends at dinner! Salt-water baste used for cooking keeps the meat luscious and moist while it is cooking without adding anything else. 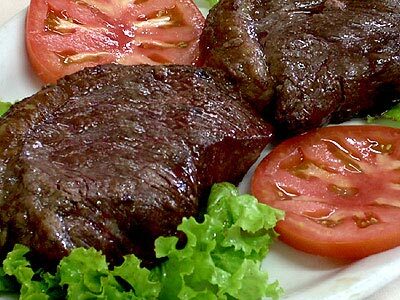 The Recipe Ingredients for Churrasco: Beef tenderloin – 2 pounds Kosher salt – 2 tablespoons Garlic – 2 cloves minced Hot water -1 cup Garnish – to taste Method of Preparation: 1. Preheat the grill. 2. Slice the tenderloin into six same size pieces. 3. Keep low heat and place the meat pieces on the grill. 4. Make a salt-water solution and add garlic into it. 5. When the meat starts to cook base it with the salt water solution. The meat will brown on the outside. 6. Keep basting right through the time till the meat is done to your taste. In fact you can use any type of meat for this Brasilian Recipe. You can also cook Churrasco on a rotisserie. Feijoada is undisputedly the most popular dish of Brazil. This Brasilian Recipe essentially comprises of black beans and pork. Different garnishes are used in different parts of Brazil, but it traditionally included “farofa”. Like a number of other dishes there are many tales about its origins. The most romantic one is from the days of slavery when over a million slaves came from Africa. Beans were a staple part of their food and on special occasions, they would gain from the scraps and leftovers of pork meat coming from the rich kitchen. There is another version and perhaps more realistic that traces Feijoadas’ origin from the Portuguese stews or ‘cozidos’. 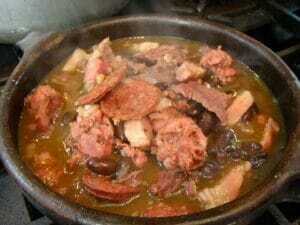 Originally Feijoada was prepared with all parts of the pig but today it is only cooked with good meat parts. Ingredients for Feijoada Dry black beans – 1 12 ounce packet (soaked overnight) Onion- 1 1/2 cups chopped Green onions – 1/2 cup chopped Garlic – 1 clove chopped Ham hocks – 2 smoked Diced ham – 8 ounces Thickly sliced bacon -1/2 pound, diced Olive oil -1 tablespoon Bay leaves – 2 crushed Coriander – 1/8 teaspoon ground Salt and pepper- to taste Fresh cilantro – 1/2 cup chopped (optional) Fresh parsley – 1/4 cup chopped (optional) Method of Preparation: 1. Heat olive oil in a Dutch oven or a big pot. 2. Add three fourth of the chopped onion, garlic and green onions. Stir for about 4 minutes or till soft. 3. Add the soaked beans and pour enough water to cover them by around 3 inches. Bring the mix to a boil and decrease heat to allow it to simmer uncovered on medium-low flame for a couple of hours or till tender. 4. While beans cook, put the ham hocks in another smaller pot with half cup chopped onion. 5. Pour water and allow it to simmer for an hour or till the meat is well cooked and pulls off easily. Remove water and add the meat to the pot with beans. 6. Preheat the oven to 375 degrees F. Place bacon, ham with the leftover onion in a baking dish and bake it till crispy or 15 minutes. 7. Drain the ham and bacon mix and place it with the beans. Season this Brasilian Recipe with salt and pepper, bay leaves and coriander. Let it simmer for half an hour uncovered. 8. Add chopped parsley and cilantro and it is ready to serve. Japan is one of the world’s greatest nations when regarded in light of the variety of dishes that it has to offer. It is with this in mind that one should consider preparing meals that have their origin from this great nation. One particular dish that can be borrowed from the nation is Teriyaki chicken. Below is the Japanese Recipe for this great dish. Ingredients 1. 3/4 lbs of chicken thighs or breasts 2. Two tablespoons of Sake 3. Four tablespoons of Soy Sauce 4. Two tablespoons of Sugar 5. Four tablespoons of Mirin 6. Grated Ginger Once you have all these products in place, then you are all set to begin the preparation. The first thing that you need to do is to poke the chicken parts using a fork. Mix the other ingredients in a medium size bowl and then marinate the chicken for 15 minutes in the refrigerator. You should then put some oil on a pan and use medium heat to fry the chicken. Once the chicken turns brownish in color, you can use the marinating sauce to cover it and then steam the chicken on medium heat until it is ready. One of the reasons why this dish is considered great is that it is able to provide a wide range of nutrients to the person who consumes it. 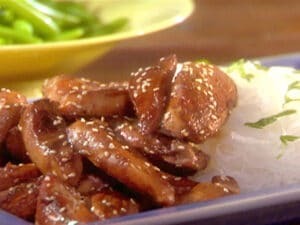 Teriyaki chicken provides the body with proteins, carbohydrates and vitamins. This Japanese Recipe is also popular because of the wide range of dishes that can be taken alongside it. Fried vegetables and rice can be some of the most amazing dishes to take alongside the dish. Some people may also prefer to take the dish with mashed potatoes or Broccoli. 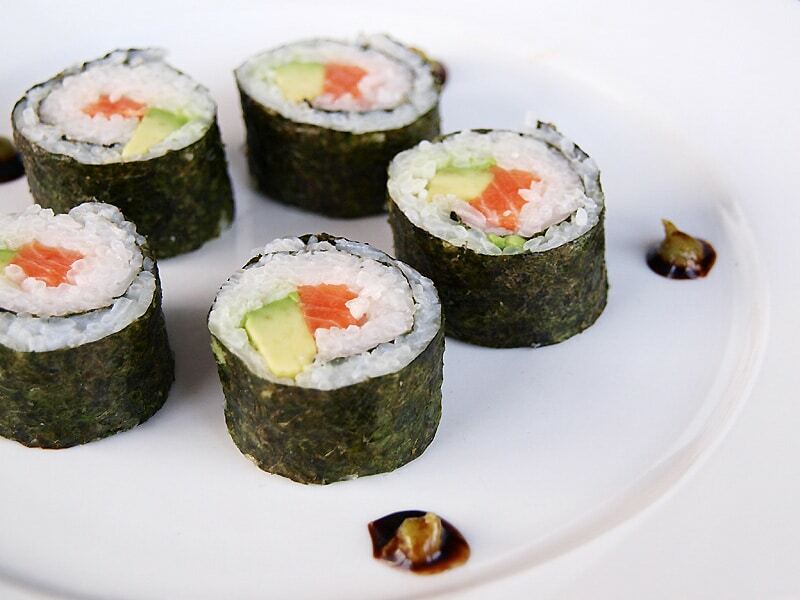 If you wish to enjoy one of the most outstanding Japanese Recipe, then you should definitely try Sushi. 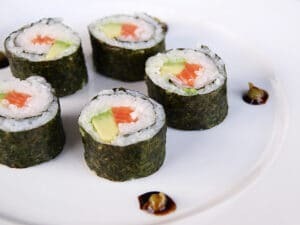 There are of course a wide range of recipes that can be used for making Sushi but one of the most popular is Sushi rice. Below is the recipe in detail. Ingredients 1. Three cups of sticky rice 2. Three cups of clean water 3. 1/2 cup of rice vinegar 4. One teaspoon of salt 5. 1/4 cup of sugar 6. One tablespoon of vegetable oil These are basically the most important ingredients for you to have when preparing this dish. There are however several other things that you may add depending on the results that you wish to get. Preparation of the Japanese Recipe Once you have all these things, make sure that you wash the rice and remove the dirty water. 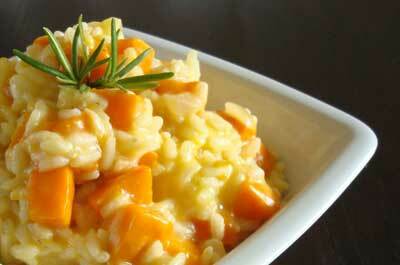 You should then put the rice in a cooker and let it cook until it is ready. This should take around thirty to forty five minutes. As the rice is cooking, you can mix the vinegar, salt and sugar in another container or bowl. Once you have mixed it, you should place it in a pan and put on heat until the sugar melts and dissolves. After all this is done, you can then put the cooked rice into a bowl and pour the vinegar sauce over the rice and mix. Some of the most popular products that can go along with this dish include; sliced avocado, strips of carrots and cucumbers. This is one of the best Japanese dishes because of the amount of nutrients that it is able to give to the people who partake of it. Miso soup, a traditional food staple of the Japanese is well known for its mouth-watering taste and nutritional advantages. This aromatic, flavoured Japanese Recipe is filled with nutrients and excellent for any time of the day. The soup has a very fascinating history and the method of cooking evolved over time. The key ingredient miso has been in existence for thousands of years. Miso is essentially a paste made with fermented soybeans. Miso soup was initially mentioned 750 years back when warriors ruled Japan. During this time soup was a part of their breakfast which can be seen even today in many Japanese families. Miso production is considered to be an art in Asia and the soup is among the most significant and distinguished culinary discoveries in Japan. Miso soup uses fish stock known as “dashi” which is generally available in Asian supermarkets. Traditionally it also uses seaweed, tofu and mushrooms. Some of the other ideas for ingredient can be potatoes, onions, carrot, leeks, radish and shrimp. Preparation Time: 10 minutes Cooking time: 20 minutes Ingredients Servings: 4 to 8 Water – 1 quart Wakame -2 teaspoon (dried) cut Carrots – 1/2 cup cubed (optional) Daikon – 1/2 cup sliced thin and lengthwise (recommended but optional) Onion – 1/2 small cut (optional) Miso – 1/2 cup Tofu- small cubed (optional) Green onion- cut Method of Preparation 1. Bring Water to boil in a pot slowly. Place the wakame and simmer slowly for about 20 minutes. (You can reduce the sharpness of the taste with longer simmering.) 2. Add onion and daikon in the last 10 minutes and carrot in the final 5 minutes of simmering. 3. Place a small strainer inside the soup. Ladle spoonfuls of miso and pulverize it in the soup via the strainer. Drop the tofu in the soup and heat it just enough to get the right soup temperature. 4. Garnish the soup with chopped green onions and it is ready to serve. This Japanese recipe is a very nourishing and can especially be helpful for gaining strength. 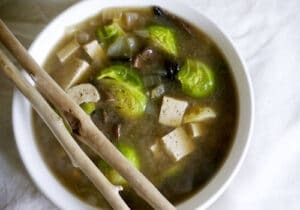 It is possible to store Miso soup over a few days by just adding miso in the portion you want to eat. Chop suey (meaning ‘assorted pieces’) is a famous Chinese Recipe that has become a globally recognisable dish. The origins of this dish are a matter of contention, with some claiming that it was invented by Chinese immigrants working on US railroads, while others state that the dish originates from Taishan. The basics of this dish are meat (such as chicken or pork), cooked quickly with vegetables, (usually beansprouts, celery and cabbage among others), and the addition of a thick sauce (such as hoi sin or oyster based sauce) finishes the dish. The basic breakdown of the Chinese recipe for Chop suey, using pork as the meat is as follows: – 1lb Pork – 2 small bunches of broccoli – 1/2 lb. fresh mushrooms – 1/2 cup of water chestnuts – 1/2 cup bamboo shoots – 1 large pepper – 2 sticks of celery – 1 onion – Oil for stir frying For the marinade: – 1 teaspoon of soy sauce – 1 to 2 teaspoons of oyster sauce – salt/ pepper – 1 small teaspoon of corn starch For the sauce: – 3 tablespoons of water, or alternatively chicken stock – 2 teaspoons of oyster sauce – a small teaspoon of corn starch The simple preparation involves firstly cutting the meat, in this case pork, into strips, seasoning, and marinating for around ten to fifteen minutes. As the meat is marinating, the preparation for the sauce and vegetables can be started. Cut the bamboo shoots, pepper, and celery into thin pieces. The mushrooms, along with the onion, and the water chestnuts, should be sliced. Put the cut veg to one side. Heat up some oil in a wok, and when heated properly its time to cook through the pork, and stir fry until any pinkness is gone from the meat, before removing and setting aside. Put a small amount of oil in the wok to accommodate the vegetables that are now to be added to the heat. After the vegetables are cooked through, remove them from the pan, and add the meat. Be sure to heat it through properly before adding the rest of the ingredients. 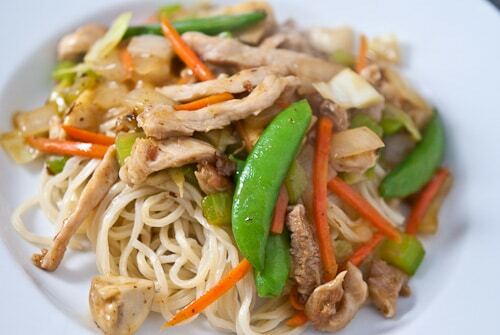 Add sauce, heat through, and enjoy the classic Chinese Recipe that is Chop suey! Getting the best Chinese Recipe is not a very easy task since most of the dishes that originate from the Country are absolutely amazing. 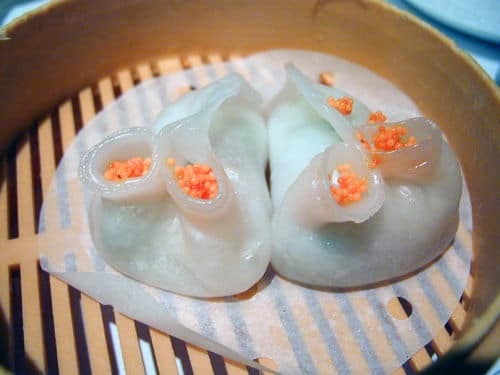 It is however important to state that Dim sum dishes are some of the most outstanding and that is why they are very popular in a number of Countries. Here is one of the most amazing Dim sum recipes. Chinese Dumplings Ingredients 1. Jiaozi dough 2. Three cups of all purpose flour 3. One cup of ground beef or pork 4. A quarter teaspoon of salt 5. One and a quarter cup of clean water 6. Two slices of minced ginger 7. A half onion(minced) 8. One garlic(minced) 9. Three TB sesame oil 10. One TB dry sherry There are indeed several other ingredients that you may include in the recipe in order for you to get different results. However these are the most important ingredients for you to have in place. Preparation of the Chinese Recipe Put the flour in a bowl and add the salt then stir while adding water continuously to the mixture. Do this until the dough turns smooth and then knead it into a ball. You should then cover the dough and leave it for about thirty minutes. While the dough is resting, you can prepare the other ingredients by putting the beef or pork into another bowl and slowly adding the others components while stirring the mixture. Once you have done all this, you should then roll the dough into a circle of about sixty pieces and then add appropriate amounts of the filling in each piece. You should then fold the dough to cover the fillings which will create a shape like the half moon and seal it by pinching the edges. Once this is done, you can put the dumplings in a pot with water and let them cook. After this process your Chinese Recipe will be ready for serving. 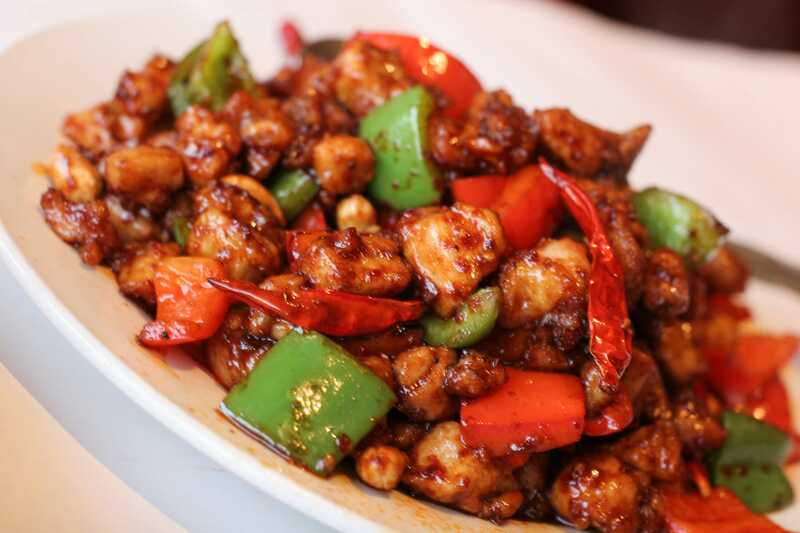 The popular recipe for Kung Pao Chicken originated in the Szechuan region of China. This Chinese recipe was a favourite of the official Ding Baozhen who was the palatial governor of the Qing Dynasty during the 18th century. The dish is also known as Gong Bao. The Sichuan province is well known for its spicy dishes. Chinese Recipe For Kung Pao Chicken Total time: 1 hour Serves 4-6 people Chicken Marinade: 10ml Chinese rice wine 30ml soy sauce 10g cornflour, dissolved 15ml sesame oil Kung Pao Sauce: 15ml sesame oil 10ml rice vinegar 50g dark brown sugar 10g cornflour, dissolved Other Ingredients: 50ml of vegetable oil 500g skinless, boneless chicken breast, diced 1 egg, separated 5g Sichuan chillies, dried 30g ginger, chopped 5 garlic cloves, chopped 5 spring onions, chopped 100g unsalted peanuts, roasted 200g of water chestnuts 250g white rice, cooked Preparation Instructions Place the diced chicken breast in a medium size mixing bowl. Pour the egg white over the chicken. Create a marinade for the chicken by adding the rice wine, sesame oil, soy sauce, salt and cornflour dissolved in water. Evenly coat the chicken with the marinade. Let it marinate for 25 minutes in the refrigerator. Heat a wok to high heat. Place half of the vegetable oil inside the wok. Before the oil starts to smoke add the chilies, ginger, garlic and green onions to the wok. Stir fry for 2 minutes or until the chilies are crispy. Be careful not to burn the spices. Remove the chilies mixture from the wok and place on paper to drain. Heat the remaining vegetable oil in the wok. Add the marinated chicken and stir-fry for 2-4 minutes or until the chicken pieces are golden brown in colour. Add the chilies mixture, brown sugar, peanuts, water chestnuts and rice vinegar and stir a further 1-2 minutes until the sugar has dissolved and the sauce has thickened. Pour the Kung Pao chicken over the white rice and serve.